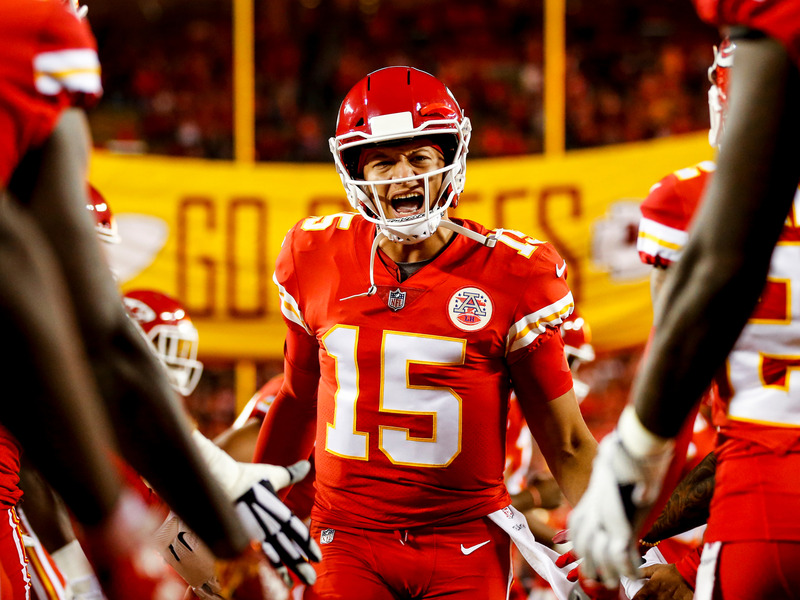 David Eulitt/Getty ImagesPatrick Mahomes and the Kansas City Chiefs looked as hot as ever on Sunday night, but the undefeated Los Angeles Rams still stand above the rest of the league heading into Week 8 of the NFL season. 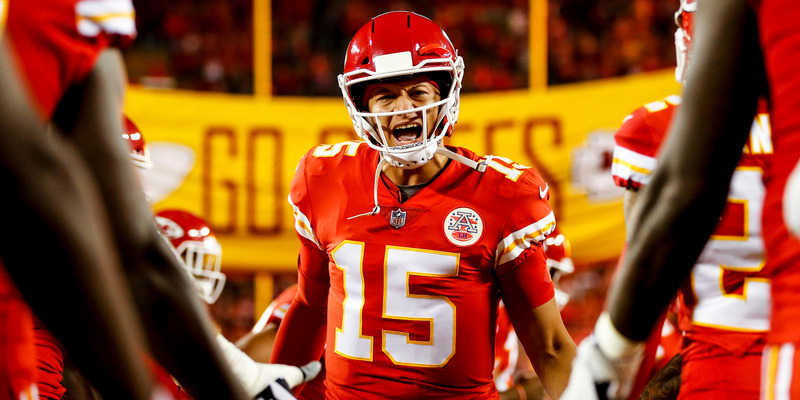 We’re almost halfway through the 2018 NFL season, and the league still feels crowded. Andy Lyons/Getty ImagesDerek Anderson looked hopeless on Sunday. One thing to know: The Bills quarterback situation remains an absolute disaster. 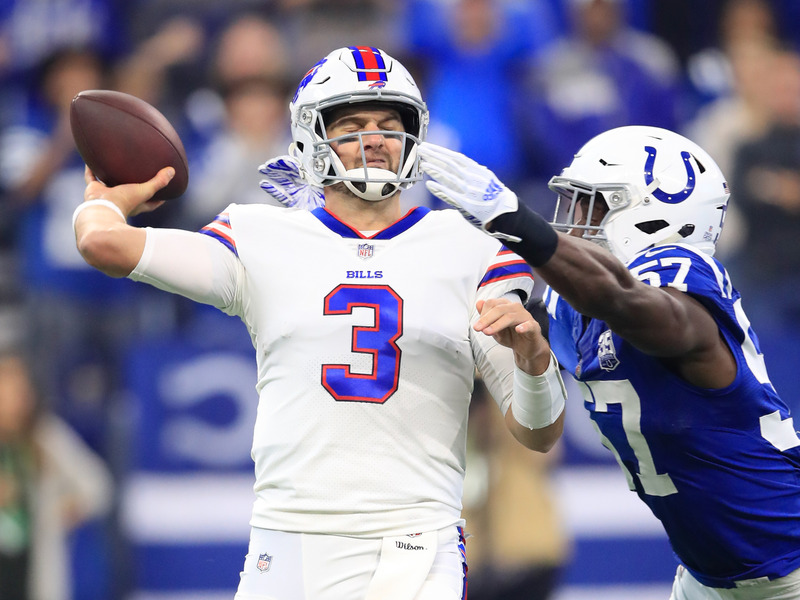 Recently signed backup Derek Anderson was hardly an improvement over Nathan Peterman, throwing three interceptions and losing a fumble in his debut for Buffalo. Lacking a better alternative, he’ll get the start again this week. 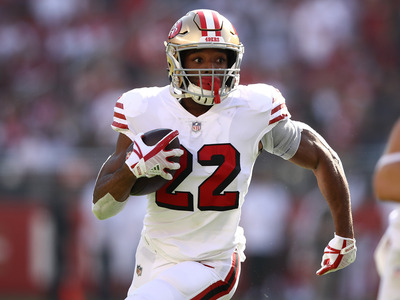 Ezra Shaw/Getty ImagesThe 49ers certainly have a future, but the present sure looks ugly. One thing to know: After losing a heartbreaker to the Packers on Monday night in Week 6, the 49ers came out flat on Sunday. This team could have something when Jimmy Garoppolo returns next year, but until then, they’re better off playing for a high draft pick. 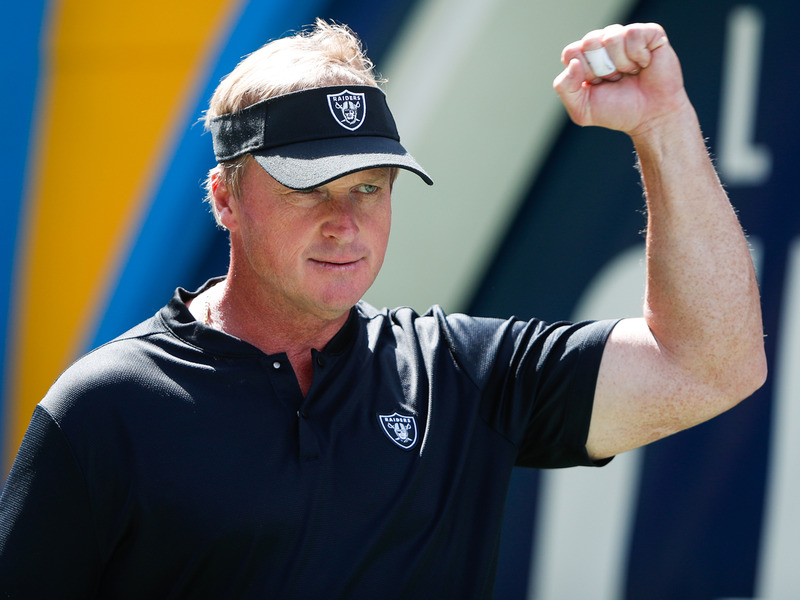 Sean M. Haffey/Getty ImagesFor better or worse, Jon Gruden is rebuilding the Raiders from the ground up. One thing to know: Head coach Jon Gruden is making good on reports that he planned a “fire sale” for the team, most recently shipping away wide receiver Amari Cooper to the Dallas Cowboys in exchange for a first round pick. Unlike his decision to trade away Khalil Mack before the season, this time, many think the Raiders got the better end of the deal. 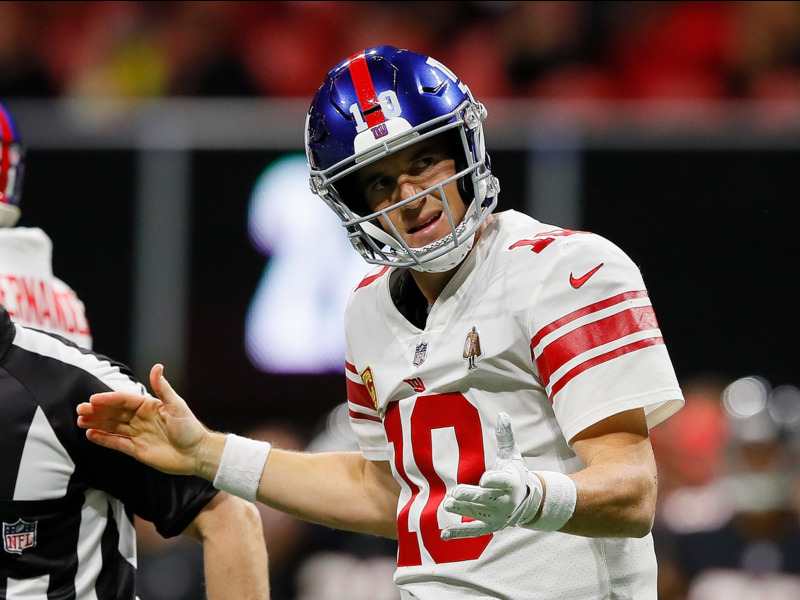 Kevin C. Cox/Getty ImagesEli Manning has not played up to expectations this season. One thing to know: Eli Manning looked slightly improved this week, but still only managed six points in his first three quarters against one of the worst defences in the league before pushing for two touchdowns in what was essentially garbage time. This week against the Redskins with the Giants looking towards a bye week, he could be playing for his job. Christian Petersen/Getty ImagesJosh Rosen is still finding his groove in the starting role in Arizona. Mike Ehrmann/Getty ImagesBaker Mayfield lead a big comeback on Sunday, but couldn’t complete it for the win. 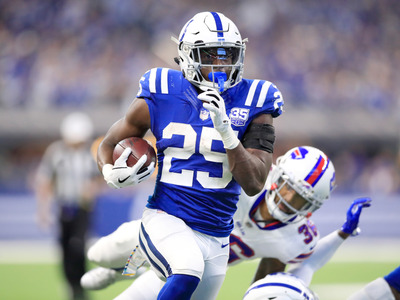 Andy Lyons/Getty ImagesMarlon Mack is a must-add fantasy player after his big week against the Bills. 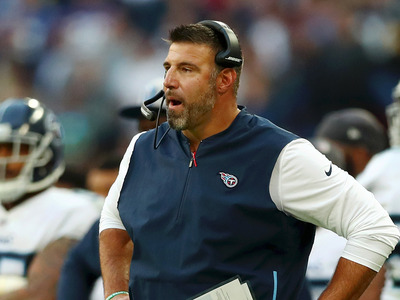 Naomi Baker/Getty ImagesMike Vrabel’s aggressive play calling was bound to come back around eventually. 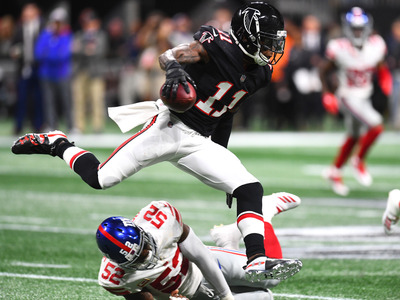 Scott Cunningham/Getty ImagesJulio Jones is one of the busiest receivers in football but still can’t seem to find the end zone. One thing to know: The Falcons have won two straight, but have a long way to go before their season is turned around. 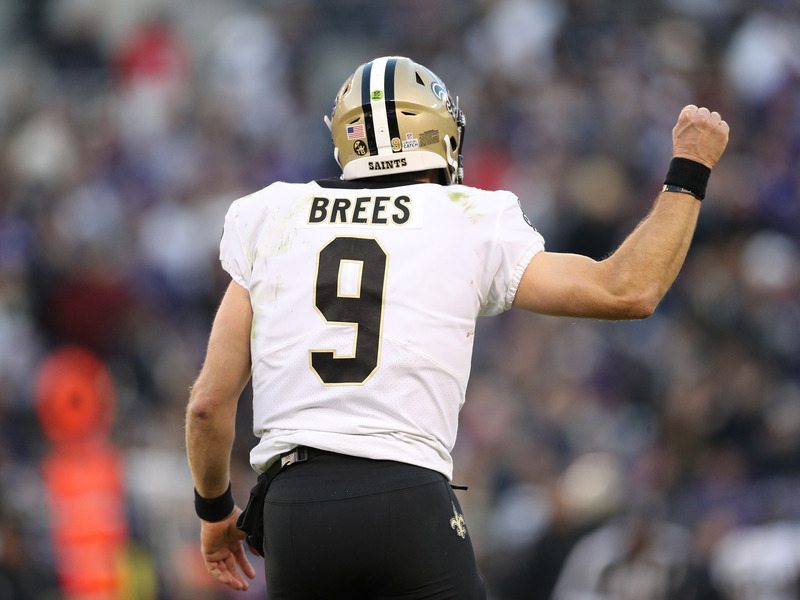 They are still looking up from fourth place in an NFC South division that’s loaded with talent. 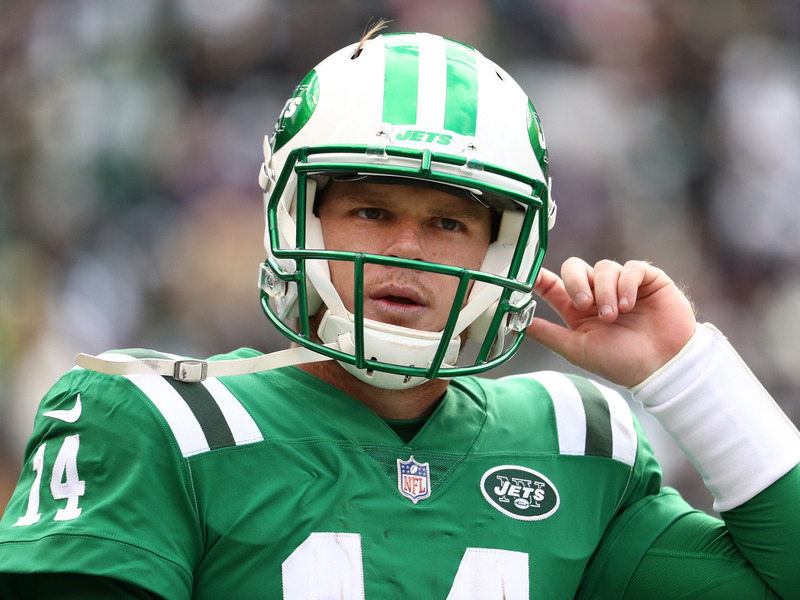 Al Bello/Getty ImagesSam Darnold is in the middle of a rough two-week stretch. One thing to know: Sam Darnold struggled against the Vikings defence on Sunday, throwing for just 206 yards, 1 touchdown, and 3 interceptions. 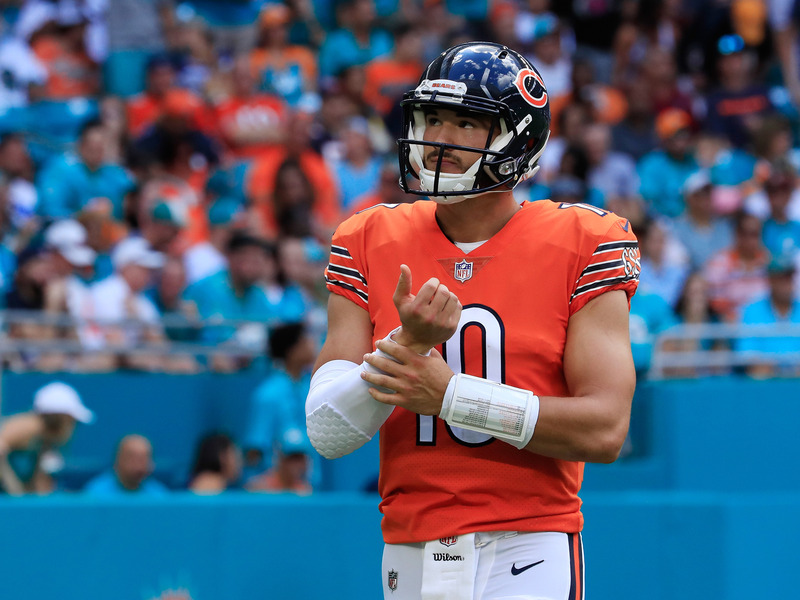 His job won’t be any easier this week as the Jets travel to Chicago to take on the Bears. 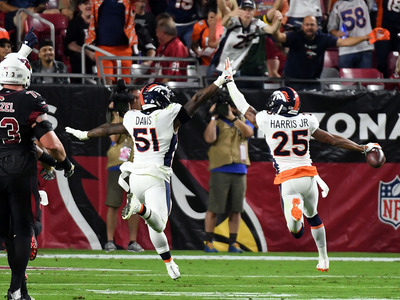 Norm Hall/Getty ImagesIt was all high fives at Mile High last Thursday for the Broncos. 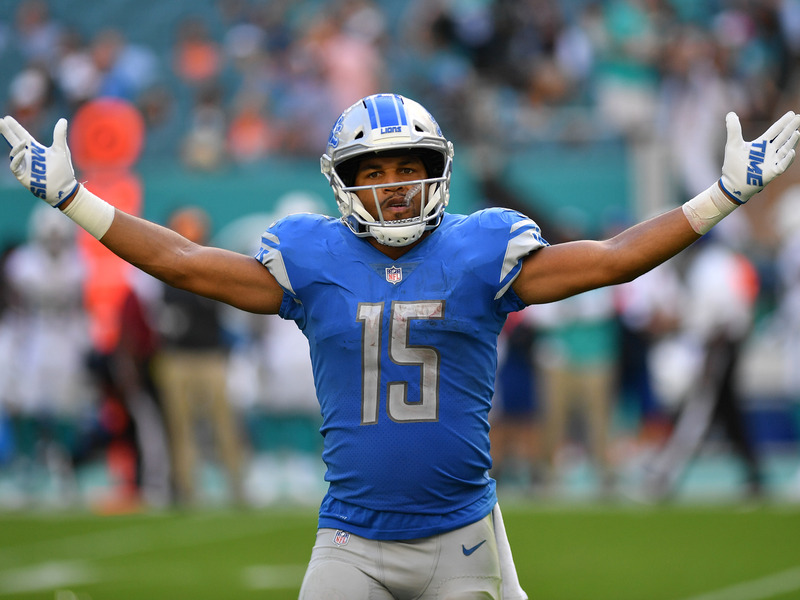 Mark Brown/Getty ImagesThe Lions offence has all the pieces to be great. One thing to know: After years without a 100-yard rusher, the Detroit Lions look like they have finally established something special with running back Kerryon Johnson, who ran for a whopping 158 yards on Sunday. If he can remain a threat through the second half of the season, it could open up Detroit’s passing game for Matthew Stafford even more. 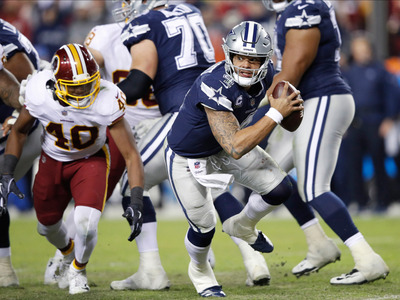 Joe Robbins/Getty ImagesDak Prescott will likely enjoy having a new offensive weapon in Amari Cooper. One thing to know: The Cowboys have been one of the worst passing teams in football to start the 2018 season – can newly-acquired Amari Cooper start playing like his old self and provide the spark they need? 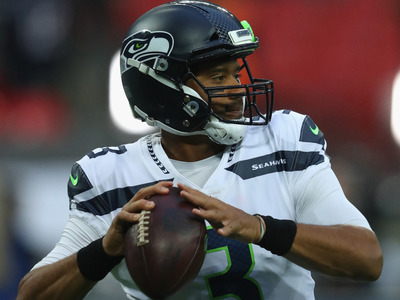 Warren Little/Getty ImagesRussell Wilson is the best thing the Seahawks have going for them. Mark Brown/Getty ImagesKenyan Drake will play a big role in the Dolphins fortunes as the season carries on. 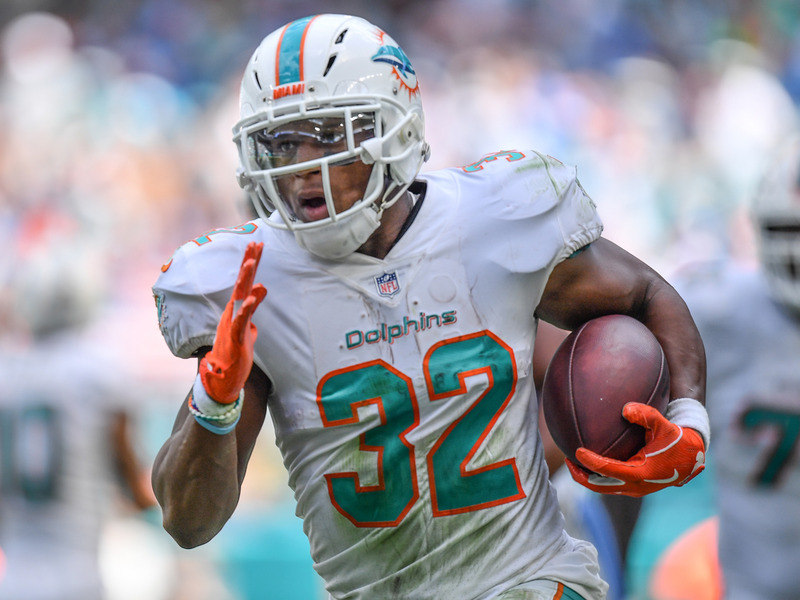 One thing to know: Despite their winning record, things in Miami look like a mess right now, with backup quarterback Brock Osweiler doing his best to keep the offence moving and head coach Adam Gase refusing to provide some crucial answers. 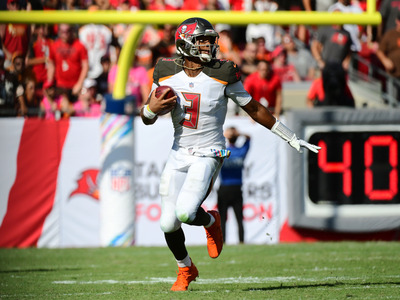 Julio Aguilar/Getty ImagesJameis Winston got his first win since returning from his suspension. Sam Greenwood/Getty ImagesBlake Bortles got benched on Sunday, but he’s still the best Jacksonville has at quarterback. 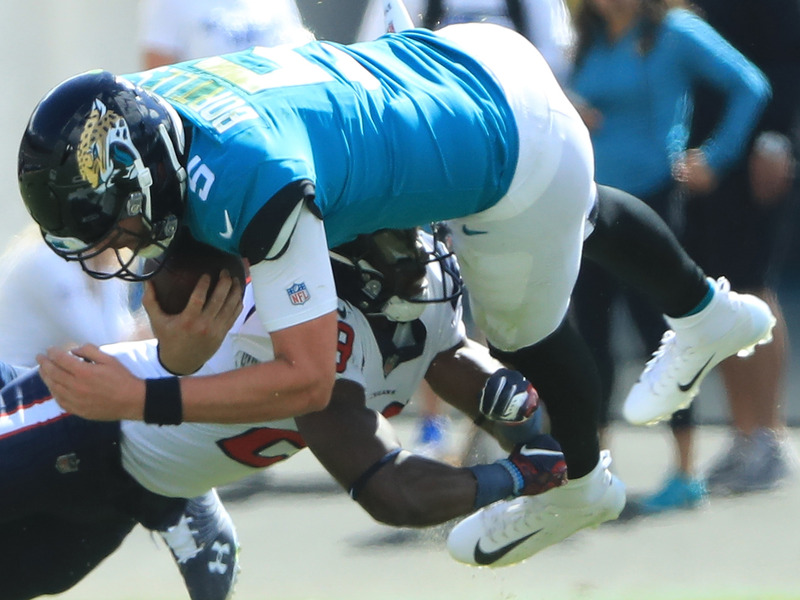 One thing to know: The Jaguars’ offence is in free fall, putting up just 10 points over the past two weeks combined. The team is so desperate for a spark that quarterback Blake Bortles was benched late in the game on Sunday in favour of Cody Kessler. 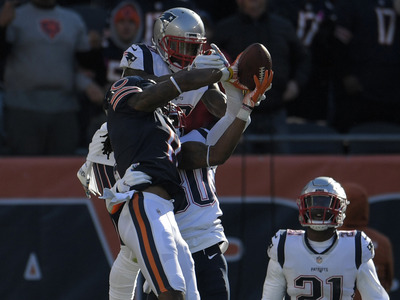 Stacy Revere/Getty ImagesFootball is a game of inches, as the Chicago Bears were reminded on Sunday. Sam Greenwood/Getty ImagesDeshaun Watson and the Houston Texans are right back in the playoff hunt after a brutal start to the year. 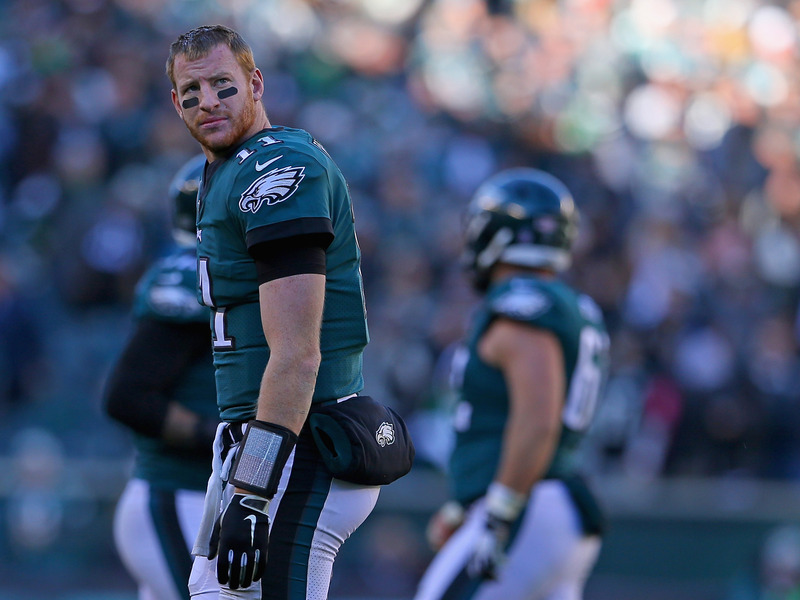 Mitchell Leff/Getty ImagesThe Philadelphia Eagles are hoping they can find some of the magic that propelled them to a Super Bowl last season. One thing to know: After getting caught celebrating a bit too early, the Eagles blew a 17-point lead to the Panthers at home – the second time this year that Philadelphia has taken a loss after failing to stop a fourth-and-10 or longer. They will travel to London for their first international game in franchise history hoping to bounce back. Peter Aiken/Getty ImagesAndy Dalton and the Bengals fell flat against the Chiefs after a hot start to the season. 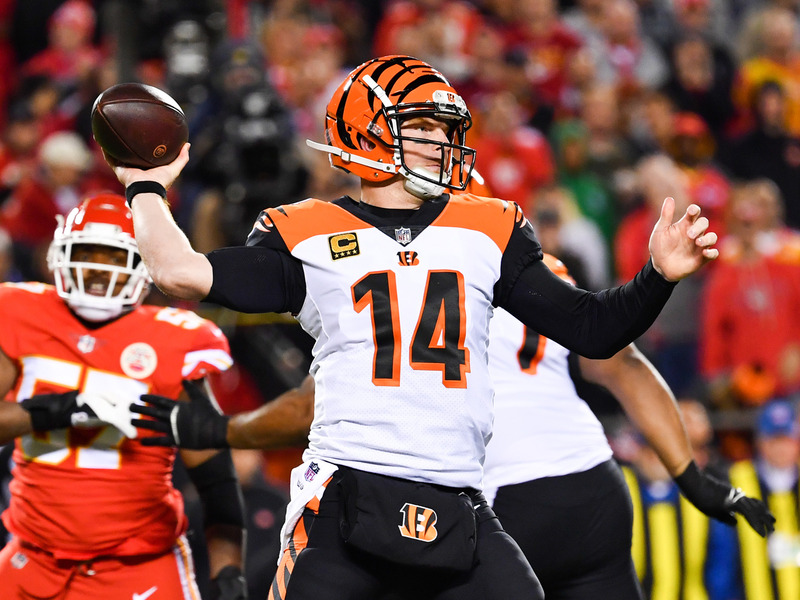 One thing to know: After scoring at least 21 points in each of their first six games to start the season, the Bengals’ offence was held to a paltry 10 points against the Chiefs on Sunday. Maybe that Kansas City defence is better than believed. Joe Robbins/Getty ImagesWashington could be one of the surprise playoff teams this year. Stacy Revere/Getty ImagesAaron Rodgers is a tough man to doubt. 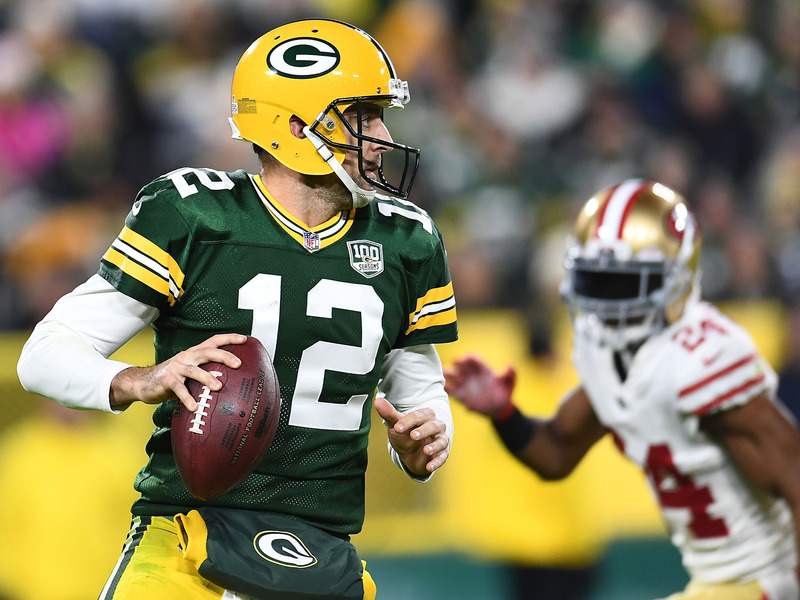 One thing to know: The Packers opened as 8.5-point underdogs against the Rams for their Week 8 matchup – the biggest spread Green Bay has ever faced with Aaron Rodgers under center. @JRown32 / TwitterJustin Tucker couldn’t believe his missed extra point either. 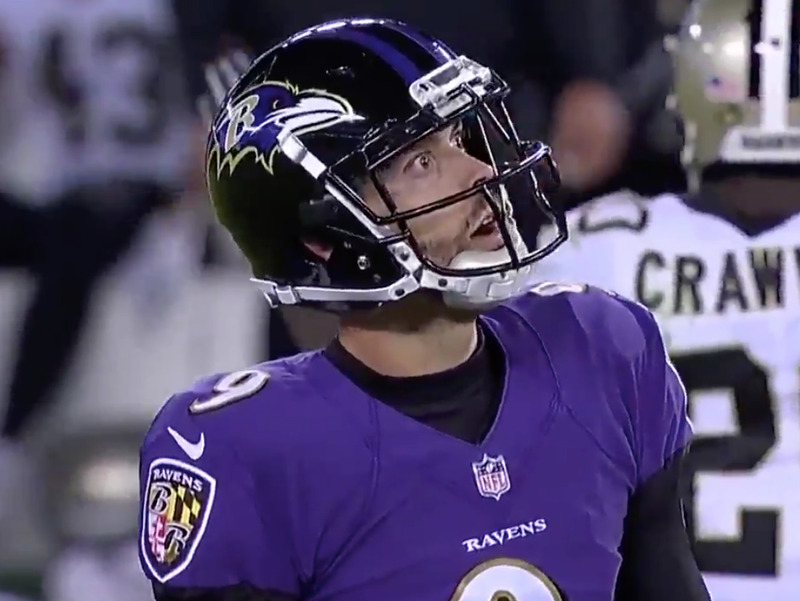 One thing to know: Justin Tucker’s first career missed extra point came at the worst possible time and wound up costing the Ravens a chance to win in overtime. He’s still one of the best kickers to play the game, but it will be interesting to see how he recovers after such a brutal miss. 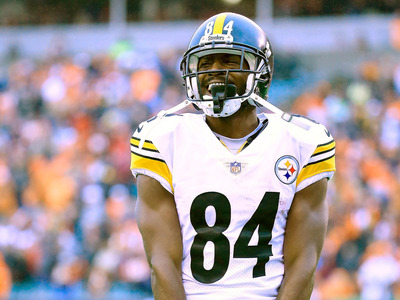 Andy Lyons/Getty ImagesAntonio Brown and the Steelers offence is moving pretty well despite Le’Veon Bell’s absence. One thing to know: So the Steelers bye week has now come and gone – where’s Le’Veon Bell? One thing to know: Cam Newton played Super Cam on Sunday, leading the Panthers on an epic 21-point fourth quarter comeback against the reigning Super Bowl champions. 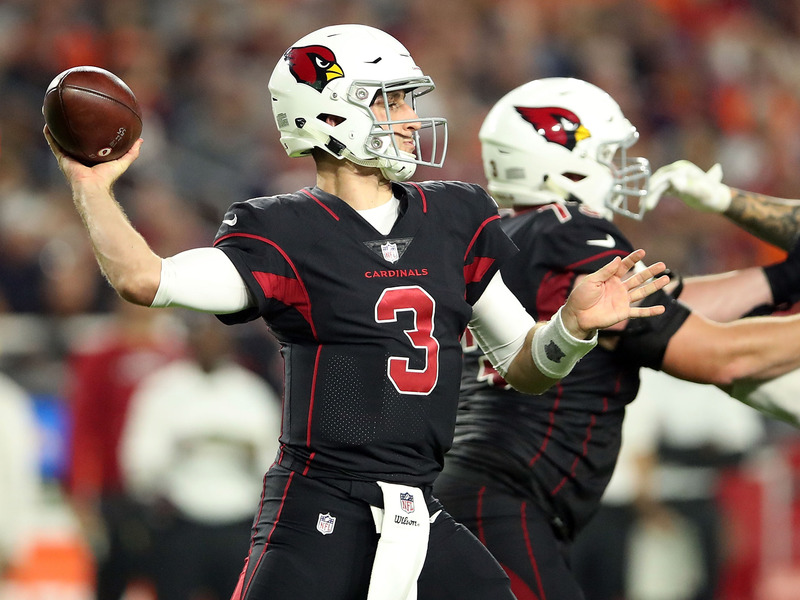 In a crowded NFC playoff picture, it’s a win that could prove decisive near the end of the season. 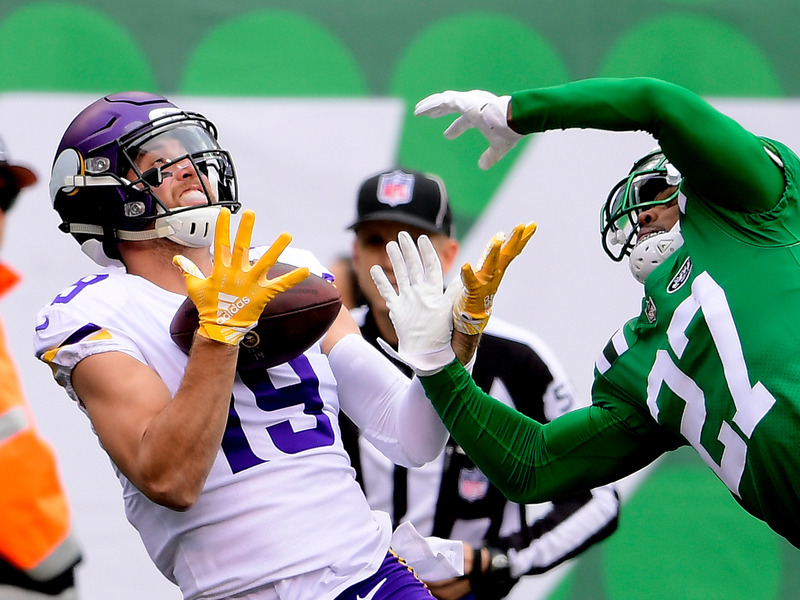 Steven Ryan/Getty ImagesAdam Thielen is making his case to be considered the top receiver in the league. One thing to know: Adam Thielen now has more than 100 receiving yards in seven straight games to start the year, tying a record set by Charlie Hennigan back in 1961. 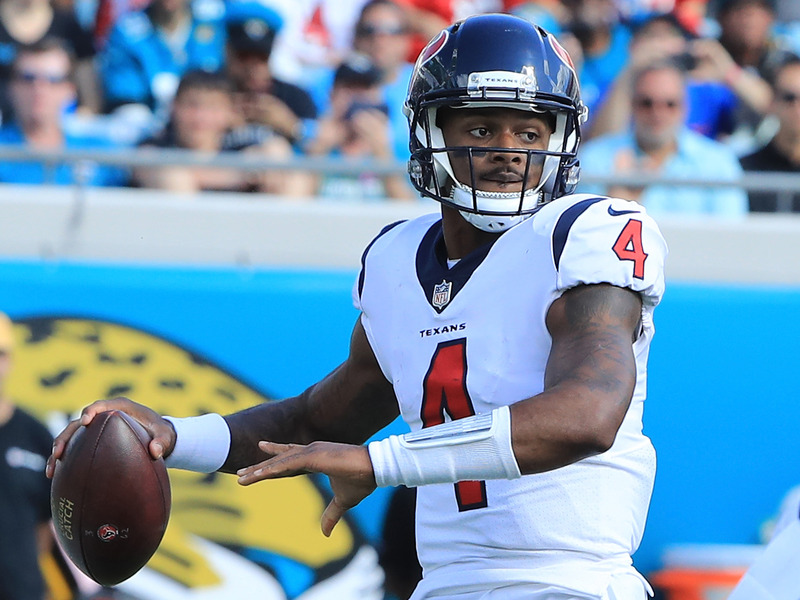 Against the questionable Saints secondary, he’ll have a solid chance to break it. Clive Rose/Getty ImagesThe Chargers are one of the most complete teams in football through seven weeks. 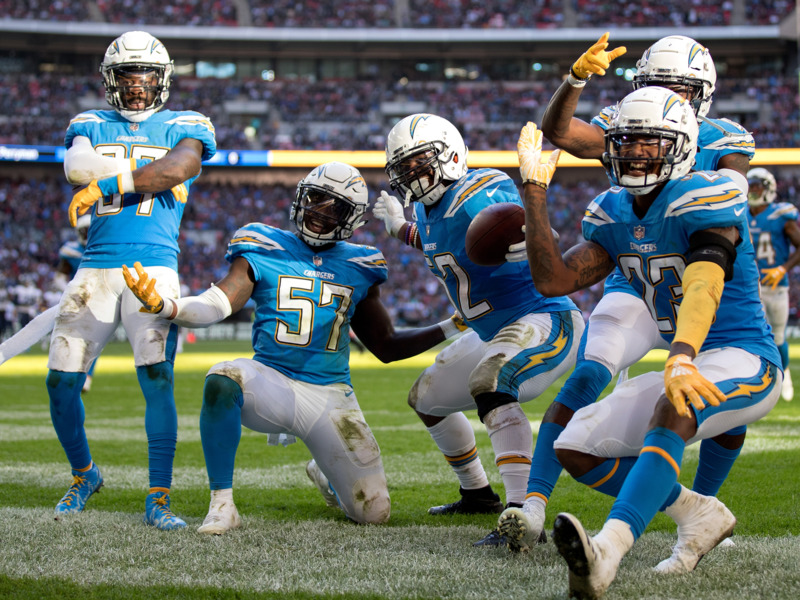 One thing to know: The Chargers only two losses on the season came against the Chiefs and the Rams. 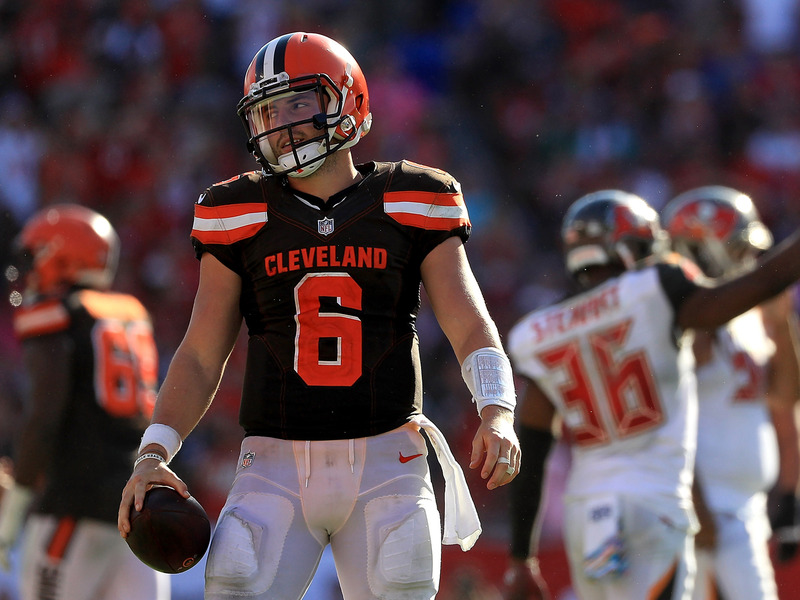 If you’ve been searching for a third team in the AFC that could cause trouble in the postseason, look no further. Patrick Smith/Getty ImagesDrew Brees became just the fourth player in NFL history to throw 500 touchdowns on Sunday. 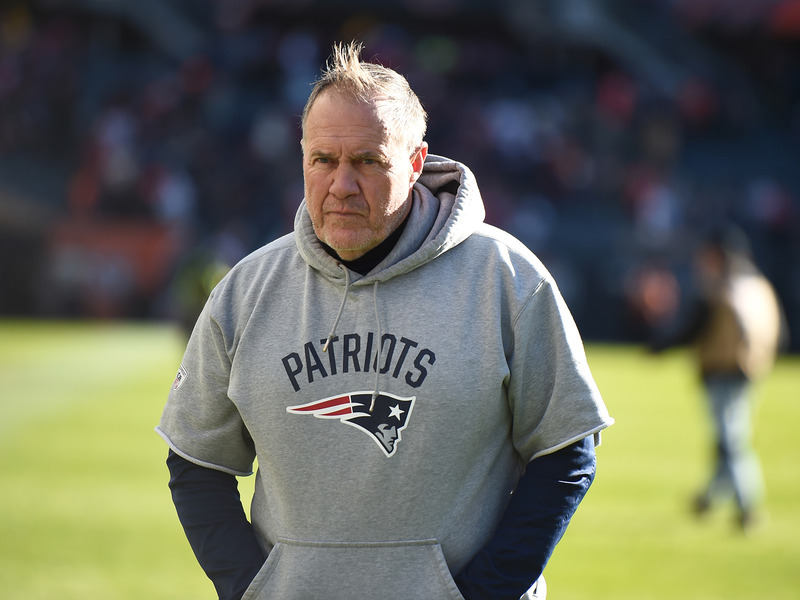 Stacy Revere/Getty ImagesThe Bill Belichick winter line looks very similar to last year’s collection. David Eulitt/Getty ImagesPatrick Mahomes is making a lot of Chiefs fans and fantasy players extremely happy. Thearon W. Henderson/Getty ImagesTodd Gurley and the Rams cannot be stopped. 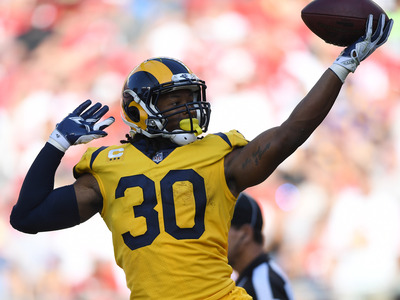 One thing to know: Another week, another dominant performance from the Los Angeles Rams. 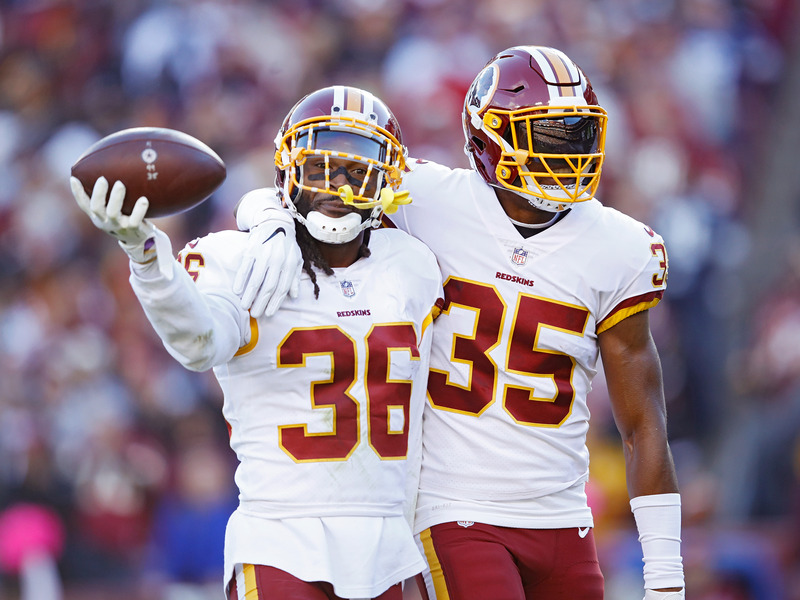 It’s tough to see Sean McVay’s squad as anything short of Super Bowl favourites as we approach the midpoint of the season.